Home > Ask Our Experts > Is Sign Language a Legal Requirement in Some Workplaces? I'm trying to find out if there is any legal requirement for sign language within the workplace? I work in a nursing home of 75 residents and started a BSL Course last September as I have been interested in this for some time. I am continuing with the course and hopefully taking the BSL Stage 1 exam this term. I have asked the nursing home where I work if they would pay the remaining fees but they showed no interest. Our tutor has said that it is a legal requirement for the workplace, if they employ more than 15 persons, to have BSL. Can you advise me please? There are no legal requirements for any workplace to employ staff who can speak sign language, although there are equality laws which prevent workplaces from discriminating against people on the grounds of their disability. 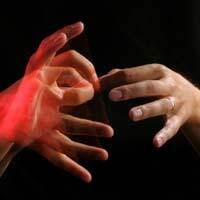 Thus, it could be argued that if there are deaf employees or if the people in that workplace could come into contact with deaf people, there should be a sign language speaker there. The key legislation here is the disability discrimination act. In a nutshell, this act makes it illegal for any company, regardless of size, to not have the necessary measures in place which allow an employee to do their job. So if a deaf person does a certain job, it may be that they need to be able to communicate with fellow employees and colleagues. Therefore, there needs to be someone within the company who speaks sign language and can effectively translate what is going on for their colleague. It is a slightly different situation if it is customers or clients who are deaf – but the same act still comes into play. People must be able to access the services of your company if they have a disability – much like people with a physical disability cannot be discriminated against in terms of access to buildings, for example. Therefore, it makes sense to have someone already employed by the company who can actually use sign language in case this eventuality arises. Of course, it is worth remembering that not all deaf people use sign language and therefore no sign language speaker can say for sure they will be able to help deaf people access services. It is certainly a useful skill to have, particularly if the person learning sign language is likely to have to deal with people from all walks of life, which may include people who speak sign language. There is actually a course called sign language for the workplace which is an introduction to the language for people who may not have an any prior sign language experience. The course is aimed at people who may then go on to do further qualifications and NVQs in sign language. It equips them with all that they might need to conduct basic conversations in a work environment. interesting where did you do SSE qualification please as I have searched locally and cannot find a course I am a BSL level threeand Tutor for ABC awards good luck in your quest was you successful?